I’m tired of seeing people doing off-page SEO all right, but they’ve screwed up their on-page SEO so badly that no matter how many backlinks they build, they don’t move a needle. On-page SEO is not what it used to be years ago. The old-school on-page SEO hacks like keyword stuffing and content swapping are not as effective as they used to be. Google has come a long way when it comes to intelligently determining the quality of content. There are some advanced SEO concepts you need to adopt right now, or you’ll be left behind. In this post, I’ll be walking you through some of the advanced on-page SEO hacks for you to implement today. It all began when Search Engine Land published a blog post titled – Goodbye Keyword Optimization. You see, it doesn’t make sense for Google to rank your content solely based on the number of times you’ve used the keyword in it. Google has evolved a lot and will be able to figure out the topic and the context in which you’ve your content written. 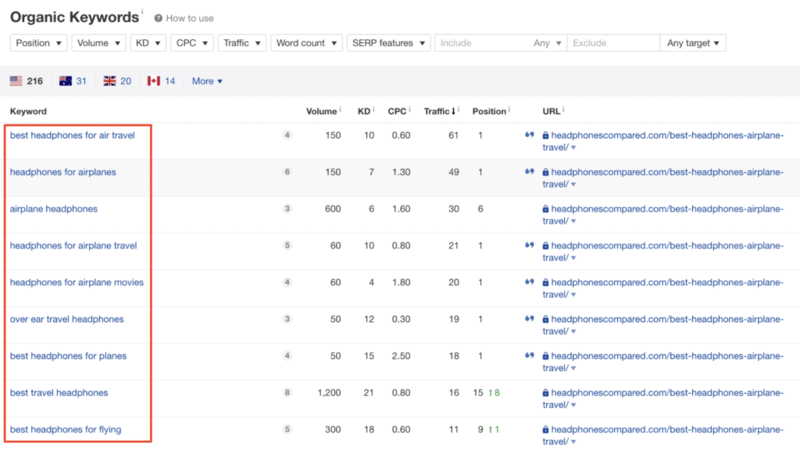 Google now rather than ranking your content based on keywords, ranks them based on topics. Because Google ranks you for the topic of the paleo diet for weight loss vs the individual keywords, where people abuse the algorithm. Before writing your blog posts, first, you need to lay down the framework of the blog posts in the form of an outline. For this, you can make use of tools like Dynalist or Workflowy. In the outline, you need to clearly lay down what are all the questions you’re gonna answer in your blog post when it comes to that specific topic. Heard of LSI keywords? Semantic optimization? Rather than stuffing the same keyword repeatedly in your article, you need to learn using related keywords in your article. Those are called LSI or semantic keywords. You can find LSI keywords making use of tools like SEMrush, Ahrefs, and others. You can make use of SEMrush’s keyword magic tool and also check what other keywords your competitors are ranking apart from the main keyword. These are called the semantic or synonymous keywords for the main keyword. Here are the places where you need to include LSI keywords. If you were doing keyword stuffing and it’s no more effective for you, then using LSI keywords naturally may be the best for you. This is an important concept you need to remember while crafting SEO-friendly content. Content breadth: It refers to how broad your content coverage is. When you are discussing any topic, you need to cover all the subtopics imaginable when it comes to that topic. Only then, will you be able to address the intent of each of every person visiting your blog post. Content depth: It refers to how deep your explanation is when it comes to a specific topic. You need to dive in deep into each subtopic you’re gonna cover in your article. Include case studies, examples, and do whatever it takes to make your article to be a one-stop destination for your searcher’s query. These two concepts are very important as Google expects some topics to be covered in an article, before ranking it. Content quality has been one of the top 3 ranking factors especially with Google RankBrain in place. Google rewards in-depth and relevant content. After doing a thorough research of the topic, before writing any blog post it’s essential for you to outline your complete blog post with subheadings (keeping content depth and breadth in mind), keywords, and also the questions (by using AnswerThePublic) you need to answer. This article by BloggingX may be a great resource for you to get started with writing great articles. You need to learn the art of writing quality content, with proper planning, and formatting in place. Internal linking is one of the most under-utilized on-page SEO strategies. 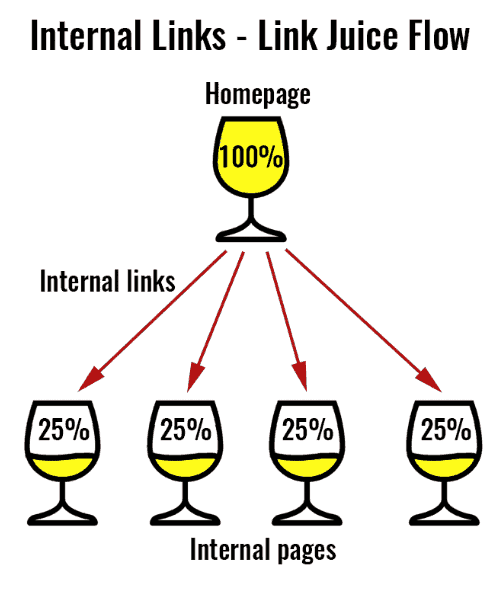 The internal links you have on your site helps you maintain link equity and spread the link juice evenly throughout your site. Linking relevant blog posts together with exact match or relevant keyword anchor texts is very important. Now, head over to those posts, and look for contexts in which you can link to your most important pages from those highly backlinked articles. Wait for at least 15 days – a month, and check the rankings of the posts to which you added the internal links. 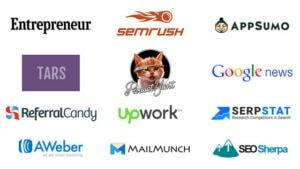 It’s not easy to build backlinks to your money pages. So, the workaround is to build backlinks to your informational posts and add internal links to your money page from these pages. This concept is also called as search intent optimization. You need to create content on your website, by reading which people will easily be able to accomplish the tasks for which they searched for a keyword in the first place. Google can easily determine what’s the intent behind the query by a user (based on their behavior, interests, and history) and also can determine whether your content helped them to accomplish their intent. It does so by analyzing the user engagement and behavior on your blog. A searcher comes to your site and spends several minutes reading your content. Then he proceeds forward signaling his intent got satisfied. Now, Google gives your content a ranking boost. On the other hand, if he signals Google that your content is not solving his query, by bouncing back quickly and clicking on another result, your content may get a rank drop. You need to analyze all the possible intents that a person reading your content may have, and try to address all those needs in your blog post right in the outlining phase itself. These are some of the most advanced on-page SEO strategies that you need to implement right now. SEO is a rapidly changing industry, things that you used to work no more works that effectively. So, you need to keep a close eye on the recent trends and make changes to your SEO strategies accordingly without saying who moved my cheese. If you have doubts regarding this post, let me know in the comments section. 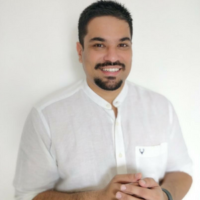 Akshay Hallur is the founder of BloggingX and many other online ventures. 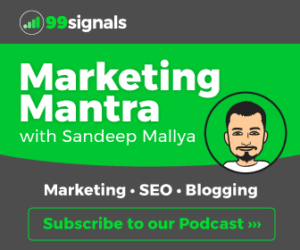 He helps other people on how to leverage the power of content marketing to grow their business online.